With the advantage of improving the health of your mind, your body and your soul thanks to its gentle, controlled movements, the ancient martial art of Tai Chi has been practiced for generations in China. 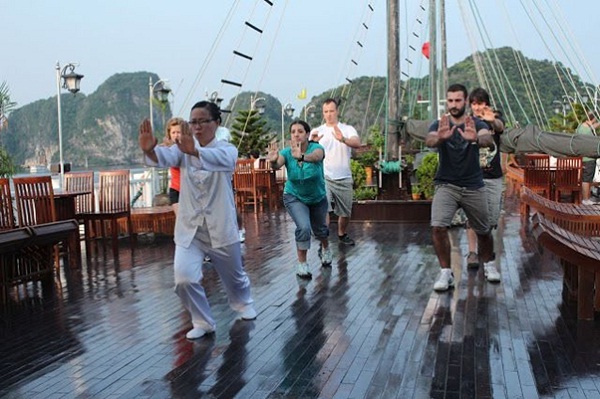 Practicing Tai Chi in the peaceful atmosphere and tranquility of the perfect open air is thought to effectively aid in the deep concentration and inside peace many hope to achieve through this art form – and even more effectively when you practice it in a place surrounded by the charming beauty of Halong Bay? 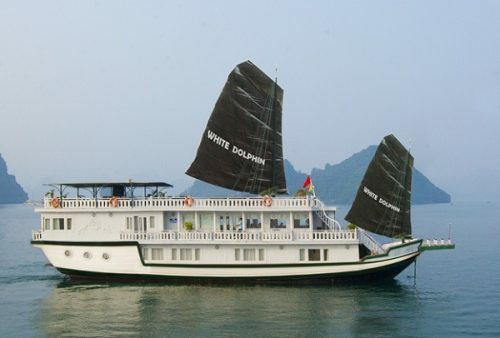 A cruise on the emerald green waters of Halong Bay, for most of travelers, is an once-in-a-lifetime experience, so it may be hard to imagine living many days long life immerse in the magnificent beauty of this stunning bay. 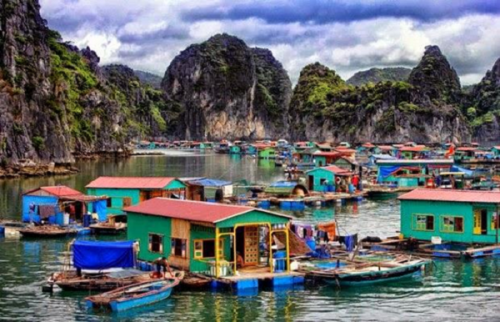 But it is the second nature for the floating fishing villages’ families of Halong Bay to live in a water world. Going up and down with the tide, these colorful fishing villages have become home to generations of fishermen who make use of the bountiful supply of marine life and growing tourism of the bay in the region to earn their living. It will be amazing experience by making a stop at one of these charming villages, encountering and interacting with the grinning fishermen and playful children and know more about their unique daily life in Halong Bay. Not only the biggest island in Halong Bay has hidden beauty, Cat Ba Island also owns some of the most incredible unique natural charms that you cannot find in the region, and not to refer a wide range of animal species and attractive natural habitats. 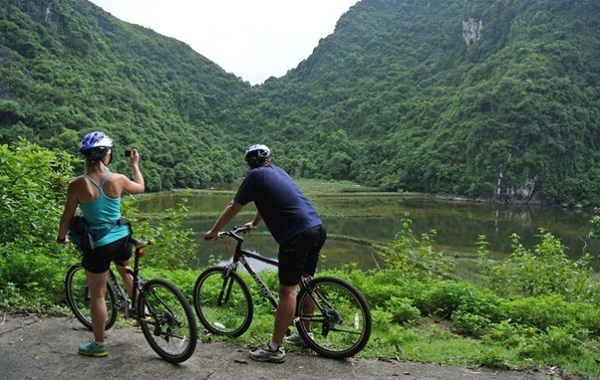 Although you can explore the beautiful isle of the Cat Ba archipelago on the south-eastern edge of Halong Bay by boat, the best way to discover it best is on foot or bicycle. There are uncountable activities you can do here ranging from discovering the limestone hills and magnificent towering waterfalls, lakes and grottos; spot wildlife hidden in coastal karst jungles and mangroves to going snorkeling off the coast to learn more about the marine life. No matter how many times you have ever visited Halong Bay in Vietnam, it is difficult for you to choose what to start with. Once coming to Halong Bay, sample the local tropical fruits at one of the colorful floating markets, take part in a wide number of water sports, immerse in the diverse wildlife or experience exquisite meals are must-not-ignore activities. 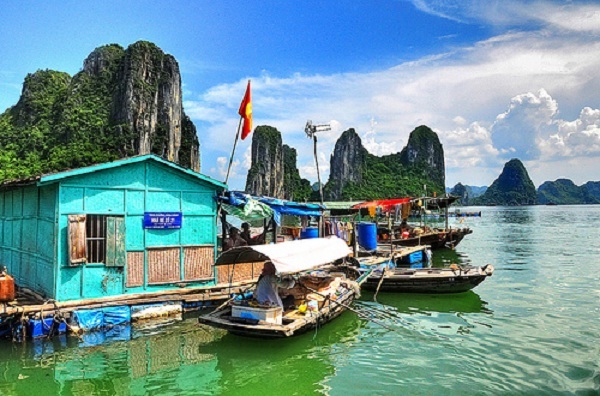 Or, you can cruise down the waters or discover the treasure that Halong Bay from the above of many islands. Learn Tai Chi on desk, visit a traditional fishing village and go cycling on Cat Ba Island are some interesting activities that you should not miss.